"Happi coat" A: Red cotton jacket has a white wave design at the hem. At the upper back is a Hyogo Prefecture logo in white with blue background. On the right front collar "Hyogo" is printed in Romanji in white and on left front collar. B: Red cotton narrow sash ties around the jacket at the waist. 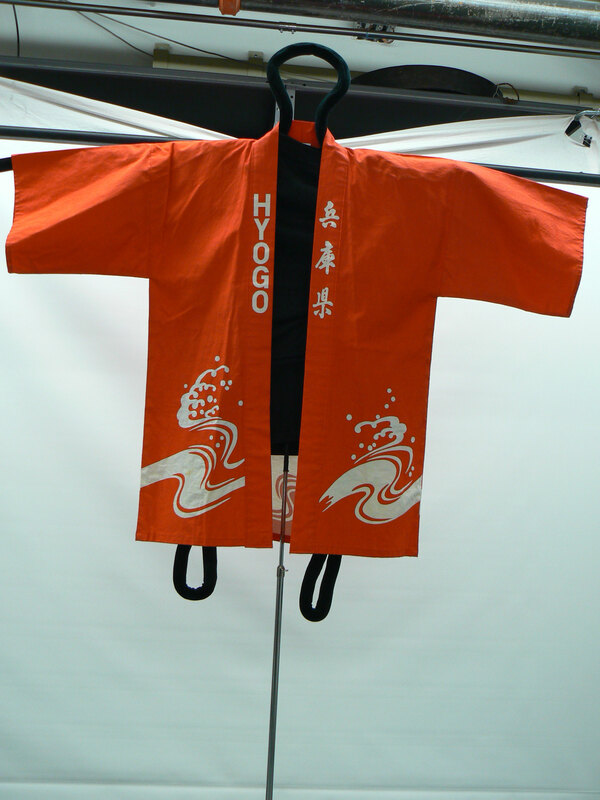 The jacket is worn for special occasion, such as a neighborhood shrine festival to show group identity and solidarity.